"There will be plenty of changes for this game. 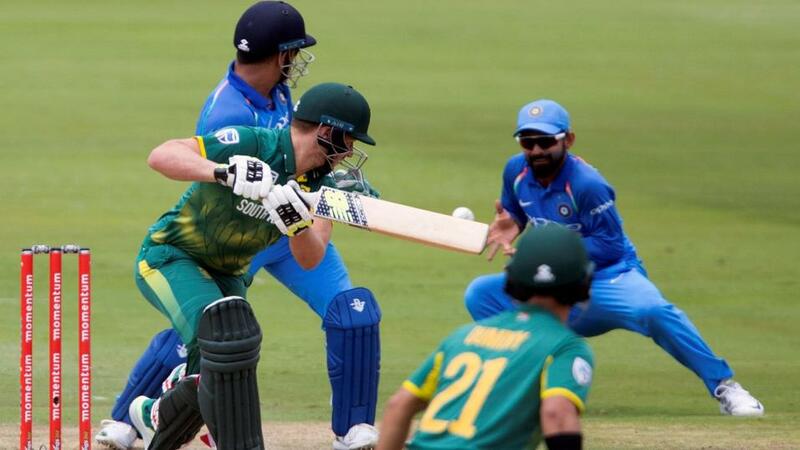 There is no Faf Du Plessis, Quinton de Kock, Kagiso Rabada or Tahir"
An unfamiliar South Africa T20 side took a 1-0 lead by the skin of their teeth in game one. It should never have been in doubt after restricting Sri Lanka to 134. More so after they had reached 118 for three in the 17th. How do you not win the game in normal time from that position? South Africa needed a Super Over to finish the job. Imran Tahir defended 15 off the one-over eliminator with ease, conceding just five. Earlier Andile Phehlukwayo had taken three wickets to derail Sri Lanka hopes of an imposing target. Faf Du Plessis, Rassie van der Dussen and David Miller, whose brutal 41 won him the man of the match, set the hosts on cruise control. There will be plenty of changes for this game. There is no Faf Du Plessis, Quinton de Kock, Kagiso Rabada or Tahir. JP Duminy will lead and Dale Steyn will be the leader of the bowling group. Tabraiz Shamsi is the No 1 spinner. Sinethemba Qeshile keeps wicket. Sri Lanka just don't know how to finish the job on this limited-overs leg. Twice in the 50-over format they were on top but couldn't get over the line but their failure in Cape Town in game one of the T20 series would have stung having worked so hard. Lasith Malinga and Isuru Udana, who looks like a player, conceded just 17 off their final four overs to get back in the hunt. Indeed, Malinga's return to the glory days was a surprise. The pace wasn't the same but the searing accuracy of his Yorkers were. Still, they were pathetic in attempting to get after Tahir in the Super Over and those six balls were a microcosm of their struggles and why they are so hard to put faith in, despite the odds. In the five matches under lights in T20 internationals at Centurion there is no toss bias with a 3/2 split for the team batting first. In all matches the chaser has a significant bias, though, standing at 60. Pakistan won batting first with 168 on the board. This was bang on the money. The average was 163 previously and if you bust 160 you win 68% of the time. South Africa are [1.44] and Sri Lanka [3.25]. Clearly there's no bet to be had on the home team at such short odds but what about the Lankans here? Well, for a start they're going to have to chase given that statistical bent for the team batting second. It's also a bonus that South Africa have revamped their squad due to IPL absentees. This could give everything an end of school feel for the South Africans, despite talk about players trying to force their way into the World Cup reckoning. With the toss in their favour, then, how about trying to get a position on the tourists by taking the [3.25] and looking for trades if they can manage parity. After his match gong Miller will be all the rage. Fair enough. He's South Africa's top runscorer in the last two years in this format. Betfair Sportsbook's 5/1 looks generous although they're slow to realise that De Kock and Du Plessis are out. By the same token Rassie van der Dussen looks big at 7/2. Duminy is also value at 9/2. For Sri Lanka it is hard to be enamoured with any of them. Thisara Perera stands out at 8s and likewise Udana at 40s. A late-order thrash could be the order of the day. Phehlukwayo is 3s with Sportsbook for top South Africa bowler honours. He doesn't have much to beat. In the last two years he has 21 wickets, eight more than Chris Morris in second spot. His strike rate of 13.9 is not bettered by anyone bar the unavailable Beuran Hendricks. In terms of top bowler wins it's three in 15 so it doesn't quite tick all the boxes.